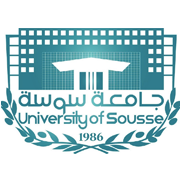 Established in 1986, the US is now a leading Tunisian public higher education organization bringing together 17 faculties, institutes, higher education institutions, and 38 research structures (14 research laboratories and 24 research units) in a wide array of subjects. In a dynamic and sustained scientific endeavor, US has promoted indexed research, certified training, and accredited education in its institutions. It has also been developing a vibrant international profile of partnership and cooperation with UN organizations, EU agencies, civil society associations, and HEIs from all over the world. It took part in 25 Tempus projects, and it is currently actively involved in Erasmus+ KA1 program with 12 signed inter-institutional agreements and Erasmus+ KA2 capacity building program with 5 accepted projects. The US is one of the first Tunisian universities to have applied the new LMD academic training system (Bachelor, Master, and Doctorate) since its launch during the academic year 2006-2007. Applied (or vocational) courses cover 2/3 of the students and, therefore, represent 2/3 of the training provided by the academic institutions of the University. The professional circles participate in the elaboration of programs, the supervision of young students and the organization of their SIVP. Through this system, the US works to build skills and know-how in applied training based especially on ICT skills to meet the needs of public services for human and social development and the needs of professionals. In the CLICHA project, the US will be represented by ISA-CM, a higher-education institution Created in 1975. The laboratory of Animal production and sustainable development in semi-arid zones is among the seven laboratories and units of research of ISA-CM and the one to participate and support the CLICHA project.